While you know how much I enjoy reality shows, you'd be blown away with the amount of scripted TV I watch as well. 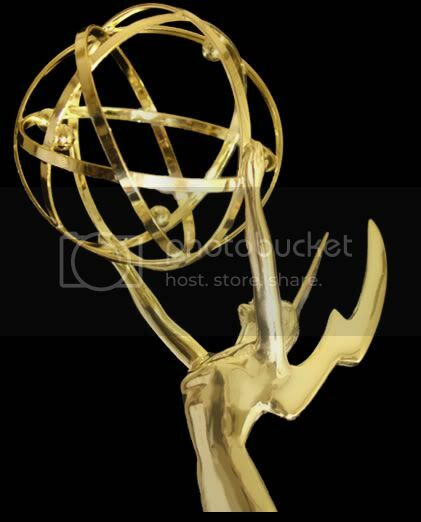 Personally, I enjoy TV more than movies, which is why my favorite award show is the Emmys. And because I watch and love so many shows, picking the winners is bittersweet and tough- how can I choose between Alec Baldwin from 30 Rock and Jim Parsons from Big Bang Theory? After some deep thought (ok, maybe 10 minutes of gut reactions) I've made my picks of who will win the 2009 Emmy Awards (let me add, it's who I think will win, not necessarily my favorite). To add another opinion, I've also included my brother's picks (and let the records show, he is routing for Generation Kill to win anything it is nominated for). So any with an M is me, any with A is my brother. UPDATED: All winners are bold and highlighted. As you'll see, I got SERVED with my picks. The same old won again, and I guess for Supporting Actor (Comedy), they decided to vote for the 2nd least funniest show (Entourage being the worst). And don't get me started on Cherry Jones winning for 24, since I considered her the worst president that show has ever had (yes, even worse than Wayne Palmer). So to wrap up, 7/12 for me, 4/12 for my brother. I don't think you got served. You nailed most of those. Good Work!